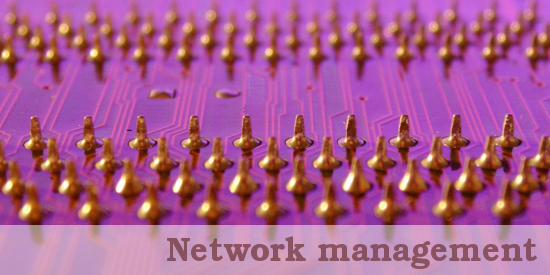 David system created by our company supports management and monitoring of heterogenous network devices. David system is a network management system (nms). It allows you to manage your resources and services through both Intranet and Internet. Auto-discovering and network topology building feature help you to keep more intuitive view of your IT infrastructure. Resources, real-time monitoring and accessibility of historical data let you react faster to arising failures. Configured interfaces for monitored devices allow you to focus on the most important aspects of their work. David system is characterized by many new solutions, that support you in management and monitoring of your heterogenous computer network. David system can monitor any devices that provide SNMP protocol. Thus, neither a type of a device nor a manufacturer of it, is not crucial. One of the system's fundamental feature is an auto-discovering procedure. David system discovers resources that can be managed, and builds a topology of their connections according to their IP adresses. David system automatically updates every hour information about each device which was previously discovered by the system using SNMP protocol. In this way the system compares earlier information with a current state. Thereby it updates all management items, that were discovered on a given device. A crucial feature of David system is monitoring and collecting of resource states in real time. The system notices changes of particular items (such as: BGP peers, network interfaces, ping objects and managed items - that can represent any resources as processors, power supply units, fans, network protocols and many others) i.e. it records the changes in the database and shows them users of the system. The data is available through Web interface of David system and visualized as graphs. The system also provides an advanced alert system, that informs about failures of managed items. Consequently our flexible solutions let you efficiently manage your network. David system can monitor network services in real-time on application level. Response times of selected services are recorded. It is also possible to check if specified services work correctly or not by verification of received data, Gathered data are accessible through Web interfaces of David system and thay can be presented as graphs or logs. An access to data of David system is protected against their illegal exploitation. The system has an advanced system of access control to collected data and Web applications based on users and groups alike as Unix file systems. Almost all gathered data are kept in a SQL database. The system, during its work, uses that data. In this case, all interfaces to the system (X-Windows applications, Web applications) work on the same current data.